Brian joined Mississippi State’s Department of Wildlife, Fisheries & Aquaculture in August 2009. Brian grew up in St. Louis, Missouri and began hunting ducks and Canada geese as a youth in northern Missouri. He graduated from the University of Missouri-Columbia with a B.S. Degree in Wildlife Management in 1986. Brian gained wetland management experience during summers and immediately upon graduation with the Missouri Department of Conservation. From 1988-1994, Brian worked for the California Waterfowl Association on wintering and breeding duck research, a statewide wood duck nest box program, writing management plans for private duck clubs, and conducted other educational outreach. 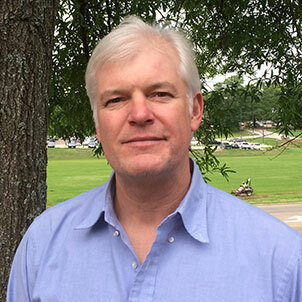 Brian attended Mississippi State University from 1994-2001, and earned M.S. 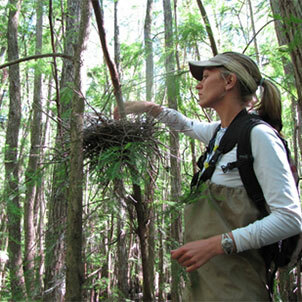 (1998) and Ph.D. (2001) degrees studying breeding and brood rearing wood ducks and other aspects of wood duck ecology. After departing Mississippi State in 2001, Brian worked as a Regional Biologist for Ducks Unlimited in Little Rock, Arkansas, and more recently in Lafayette, Louisiana (January-July, 2009). Brian helped deliver various conservation programs that restored and protected bottomland hardwood forests and other wetlands. Brian also frequently spoke publicly on behalf of DU conservation programs and assisted private landowners with wetland management, wrote NAWCA proposals, and participated in major gift fundraising. Brian’s research interests are broad yet focused on waterfowl and wetland ecology and management in the Lower Mississippi Valley and elsewhere in North America. Brian has published a number of articles in The Journal of Wildlife Management, Wetlands, and other scientific outlets, as well as numerous popular articles based on his and other scientists’ research. Additionally, Brian has presented numerous invited and contributed papers at scientific and outreach venues, has helped garner several million dollars in research and conservation grants, and has played primary roles in organizing and conducting youth waterfowl hunting workshops for DU and MSU in the past. Brian will be responsible for teaching Waterfowl Ecology and Management, Wetlands Ecology and Management, and Wildlife Techniques and developing a productive research and service program in the department and in association with the James C. Kennedy Endowed Chair in Waterfowl and Wetlands Conservation. Dr. Klassen is revisiting the wintering aerial duck surveys that are flown annually by the Mississippi Department of Wildlife, Fisheries & Parks. These surveys were created un the early 2000s by doctoral student, Dr. Aaron Pearse of the WFA. Part of Dr. Klassen�s efforts involve creating a water model of the MAV and then analyses of approximately 15-years of aerial survey data on duck abundance and distribution in parts of the MAV.